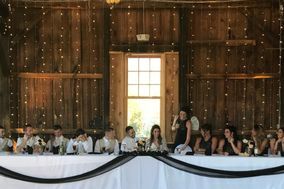 A cookie table is a must have at a Pittsburgh wedding, as is a great wedding DJ. 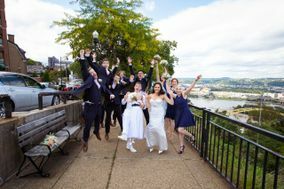 With stunning architecture, three major rivers with gorgeous views, luxury boats for charter, historic homes and churches, trendy hotspots (like the Warhol Museum), and a culinary scene that attracts couples from all over, Steel City is an amazing place to say your vows. 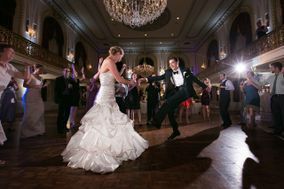 You'll have your pick of wedding venues in Pittsburgh, whatever your wedding day dreams, and there are scores of talented wedding vendors who can turn your vision into reality. But start searching for venues, vendors, and Pittsburgh wedding DJs ASAP because they book up fast. 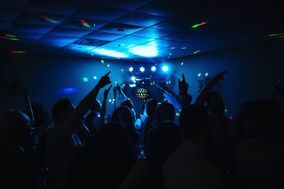 You'll want to give yourself lots of time to research Pittsburgh DJs because your chances of landing a great one increase when you have more options. 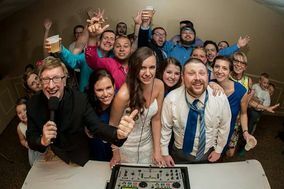 Pittsburgh DJs tend to charge more than the national average, and so your wedding budget should account for that - but if you need to economize, booking earlier can sometimes mean saving a little money. 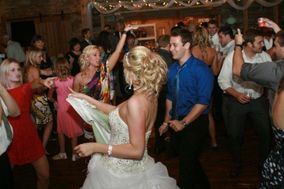 Look for DJs that are professional and engaging, comfortable on the mic, and familiar with your wedding venue. 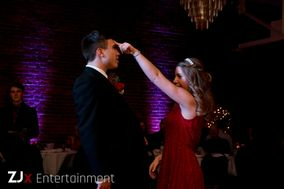 Some Pittsburgh DJs will have video footage of past performances (or a highlight reel) of weddings for you to check out. 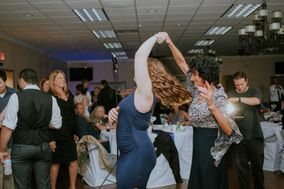 Make sure you like what you see because your DJ will not only play music, but also serve as MC, make introductions, and interact with your wedding guests. 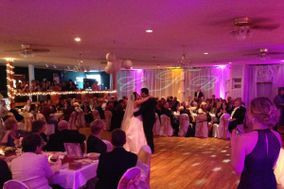 You need a DJ for your wedding day who is capable of setting the mood and keeping guests happy. Want live music, too? 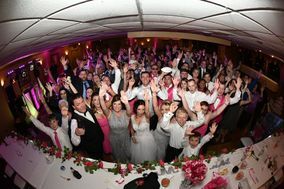 Consider booking a wedding band and a DJ so your DJ can MC and keep the music flowing between sets. You'll be talking to a lot of DJs, so it can be helpful to have a list of questions ready each time you conduct an interview. 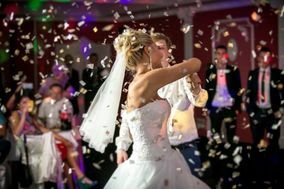 It's important that you ask about availability and pricing, whether a DJ service has worked at your reception venue before, how they'd categorize their performance style, what kind of equipment they bring, and what kind of equipment they'll need the venue to have on site. 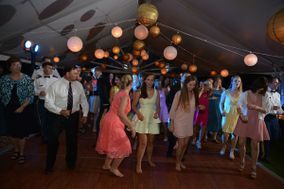 From there, you can ask about do-not-play lists, music for special dances, and anything else you're curious about. Just don't forget to ask for references! 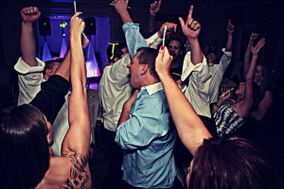 As you interview Pittsburgh DJs for your wedding, keep track of the ones you like best in a wedding vendor manager, so you can compare notes on DJs when you're ready to make your final decision. 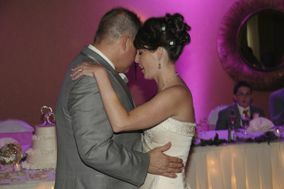 A lot of couples are surprised by how much their DJs actually do to keep the reception running smoothly. 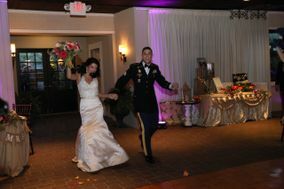 You can help yours make your reception a success by being up front about your expectations. If you expect them to make announcements or coordinate games, let them know and give them a comprehensive timeline of events. 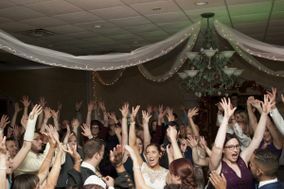 Will your DJ be MCing the entire reception? Then give them a pronunciation guide, too, so they can confidently say your and your VIPs' names. 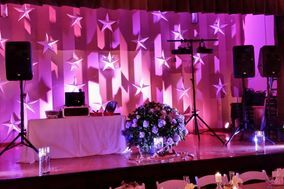 Your DJ may even end up doing some lighting design, bringing a photobooth, setting up and running a slideshow, or answering guests' questions! 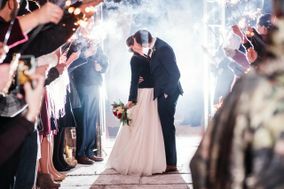 WeddingWire is here to help you get organized, from your engagement all the way to your honeymoon. 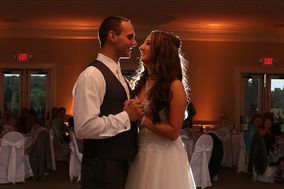 Check out our wedding checklists - they make wedding planning easy.